When I first told my mother I wanted to do a study abroad program in Poland, she questioned my safety as a Jewish student being there. 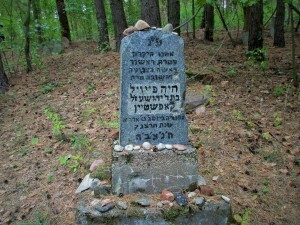 My grandfather was a Polish Jew who left the country during the war. After being bullied by Poles as a child for his religion, he later claimed that Poland was “the most anti-Semitic country in the world.” During the 20th century, violent anti-Semitic pogroms occurred, making Poland a hostile environment for Jews. Because of that, I do feel that among the American Jewish community, there is a stigma that Poland still represents an incredible amount of anti-Semitism. Growing up, I knew very little about Poland; only that my grandfather was born there and that the majority of the Holocaust occurred on Polish soil. I did feel a little bit anxious coming to Poland, not knowing how I was going to be treated. Since there has been an absence of Jewish life in Poland, we don’t know what the country is like today. The only thing we hear regarding Jewish Poland is the holocaust. We don’t know much about how the Jews settled in Poland during the middle ages, and the culture that existed before and after the war. I was surprised to learn about the direction Poland is going. New Holocaust discussion has emerged with within the last decade. Since the fall of communism in 1989, Poland’s economy has become one of the strongest in the East Central Europe region. The country joined the European Union in 2004, and have improved their ties with Israel. Now this asks us the important question; is Poland adding a new and positive chapter to Jewish life in the country? 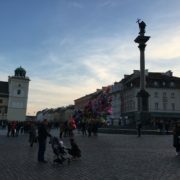 We began our program with a three day trip to Vilnius, Lithuania. Like Poland, Vilnius also had a flourishing and culturally active Jewish community before the war, in which 90% of Lithuanian Jews perished. 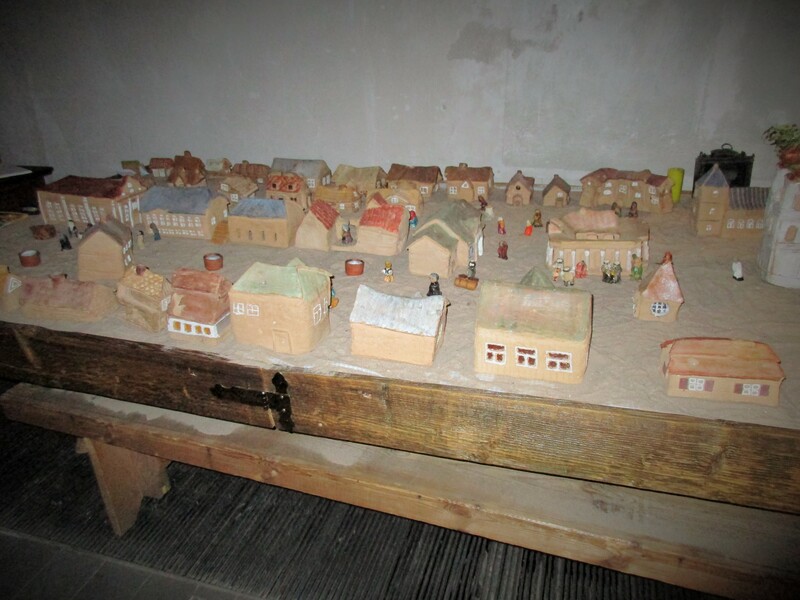 We visited the exhibition at Green House, part of the Vilna Gaon Jewish State Museum. While the exhibit contains some incredible documents information, the small green building is located in off the side of the road. 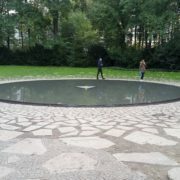 We also visited the Peneriai Memorial, where approximately 75,000 people (mostly Jewish) were shot into pits during the war. There we witnessed a couple of women picking mushrooms while ignoring the historical importance of the site. We found out at these sites that majority of visitors were not Lithuanian. We came to the conclusion that the majority of Lithuanians are not ready to come to terms with their Nazi-affiliated past and participation in the Holocaust, in which many of them assisted the Nazis in the mass shootings of Jews. 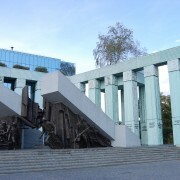 Lithuanians still view themselves as victims of the Nazi and Soviet occupations, such as using the word “genocide” in the official name of the Museum to Genocide Victims, located in the former KGB (Soviet secret police) prison. 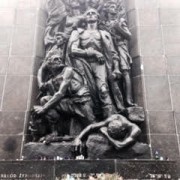 Even though many Lithuanians were murdered by the Soviets and deported to Siberia, it can be argued that these events did not constitute “genocide,” showing victimization in the Lithuanian narrative. 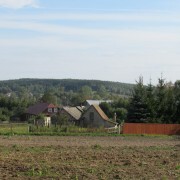 However, we felt a different atmosphere when we made it to Poland. We learned that Poland is taking a big leap forward to reconciling with the Jewish past that once existed. Our first three days in Poland were spent with an NGO called the Borderlands Foundation (also known as Pogranicza), located close to Sejny, a small town on the Lithuanian/Polish border. Two of the founders of the NGO were a married couple named Krzysztof Czyzewski and Malgorzata Sporek-Czyzewska. They were involved in a theater group. 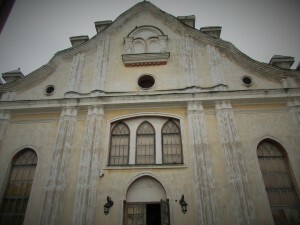 When they came to Sejny to find a place to work, they found an old synagogue that survived the war. 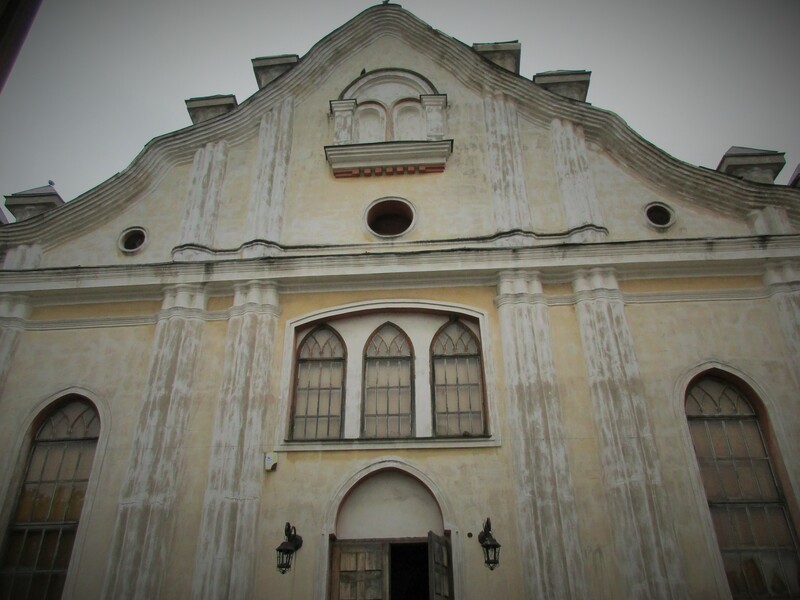 Unfortunately, there are no Jews living in Sejny today, but Krzysztof and Malgorzata decided that instead of a theater, they made the synagogue a place to preserve Jewish culture by music and art, thus the beginning of Pogranicza. One of the nights, we had the honor of meeting a Klezmer musician named Michael Alpert, who has spent his life reviving Klezmer music, which has been greatly diminished since the war. He showed us a video where he and Krzysztof, along with a few other musicians from the States, facilitated a workshop called the Musicians Raft, a project to revive Klezmer music in Sejny. The participants were local Poles who would give performances of Klezmer music. When we visited the synagogue, we learned a Yiddish song and dance. Malgorzata even studied Yiddish, herself. 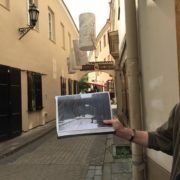 I did not expect to meet a non-Jewish couple, who were Polish, who have spent their careers educating local Poles about the Jewish life that once existed by preserving that culture. I was happy to hear that Krzysztof won the prestigious Dan David award in Israel that includes a hefty financial prize, all of which he used for Pogranicza. When we went around in a circle to give last minute comments to Krzysztof, I thanked him greatly, and told him how his work really meant a lot to me. Krzysztof and Malgorzata were not the only ones we met, who strived to educate the community about the Jewish past. After our time in Sejny, we went to a small town named Narewka (Nah-rev-ka) which also once had a large prewar Jewish population that no longer exists. We met a historian named Katarzyna Bielaska, who took us to an old Jewish cemetery that survived the war. Later we watched a short film that featured her grandfather who had a relationship with a Jewish woman named Hana during the war. In end of the film, Hana disappears and Katarzyna’s grandfather never found out what happened to her. After Narewka, we went to Lublin, where we visited the Grodzka gate, located in the former Jewish quarter. 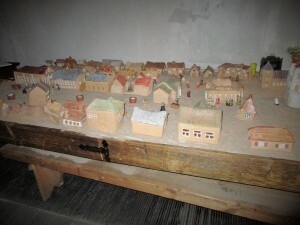 At the gate, we were led by non-Jewish Poles who strongly believed that the Jewish past in prewar Lublin should be told as Polish history and it was a part of the history of Lublin. What I strongly admired about the workers at the gate, was that they chose to make their career educating about Jewish history, when they were not Jewish themselves. This was something I did not expect to see coming to Poland. Of the time I’ve been in Poland so far, I was the most amazed by the fairly new Polin Museum of the History of Polish Jews in Warsaw. 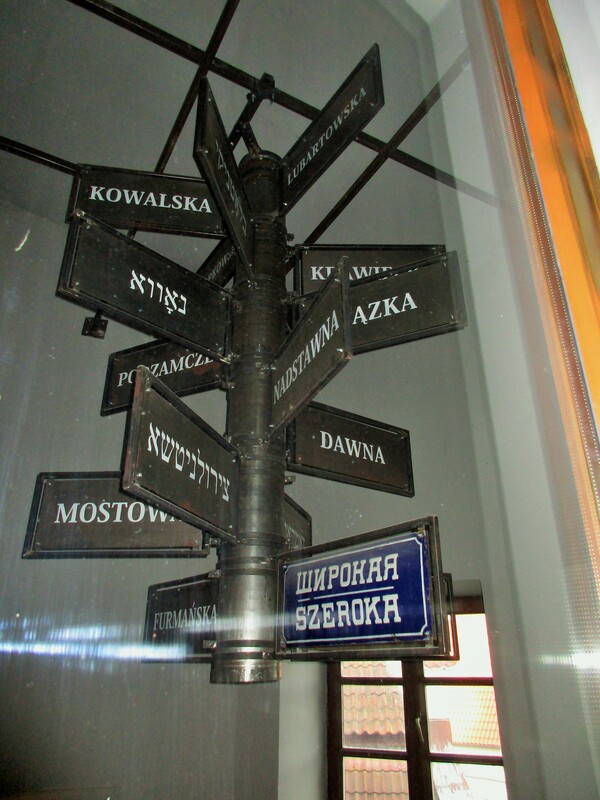 For many Jews, myself included, Poland has been viewed as a country with a dark, tragic past. 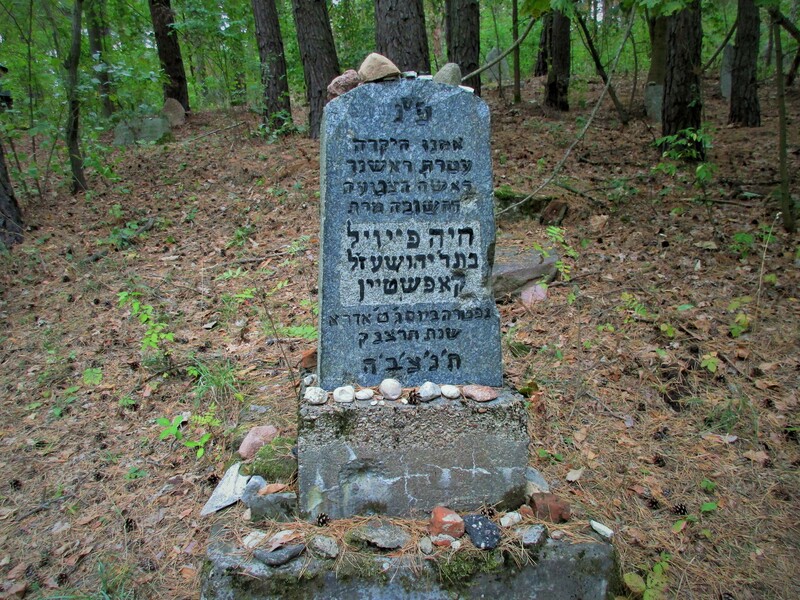 Most Jews who visit Poland today only see the concentration camps and cemeteries, seeing a place of Jewish tragedy and persecution. 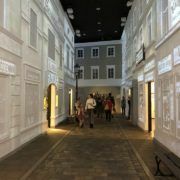 The museum is not a Holocaust memorial; it is a narrative of a thousand year history of Jewish life in Poland. The museum, unlike the Green House, is large and expecting its one millionth visitor just within a year of opening. The visitors come from all over the world and even include many Polish school groups. 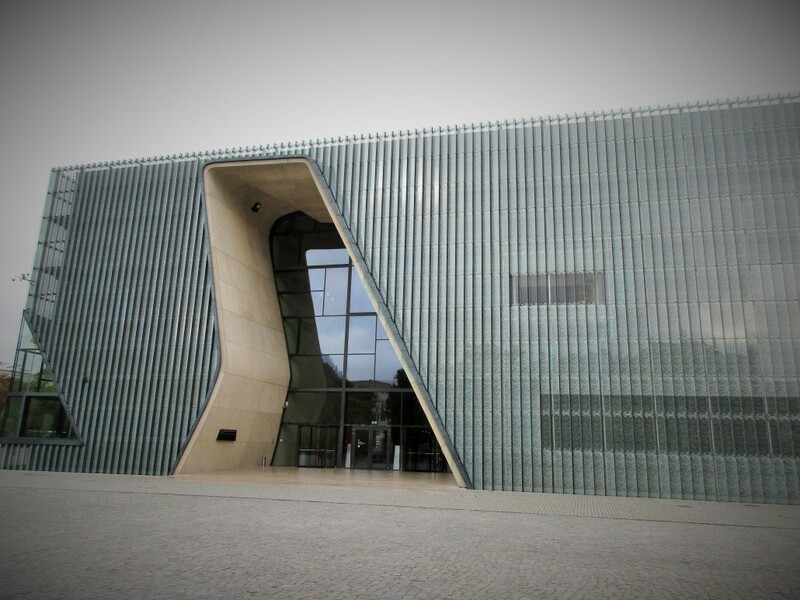 I believe the Polin museum will now provide a new narrative about Jewish Poland, by including the Jewish history into the Polish national narrative further. Of the time we’ve spent so far and the people we’ve met, it would be unfair for me to call Poland an incredibly anti-Semitic country today. I have met people who have gone above and beyond to shine a new light for the memory of the Jewish past. Poland is a different country than it was even during the days of communism. That’s not to say that anti-Semitism isn’t still present, as with the emerging right-wing nationalist party adding concern to the dialogue. Sadly, there will always be anti-Semitic attitudes present in a country regardless of the actions taken to prevent them. Thus, there is no definite “yes or no” answer as to whether or not Poland is an anti-Semitic country, which is better than a “yes” answer. However, unlike Lithuania, Poland has begun to go further than they have in the past toward Reconciliation.